This one’s for the ladies …………..
Last week I lost my mojo, leaving me feeling blue, flat and MSy. My symptoms were frightening. I could hardly lift my legs to walk, my balance was non existent and I even needed help getting in and out of bed. This usually happens a week before my period is due so I know when it’s coming but I wasn’t due on for another week so was panicking that I’d taken a turn for the worse and this was my new reality. I spoke to my MS nurse who said it was unlikely that progression would come on that quickly but fear of progression is always at the back of my mind so I let myself wallow in misery. I “came on” on a whole week early and by day 2 the symptoms had miraculously disappeared, my mood lifted and my mojo returned! It’s quite amazing how this happens every month. Over the last few days I’ve been feeling great. My walking speed has increased, I feel stronger and can easily get around. Why is it that hormones have such a huge impact on MS? Lots of women find their symptoms disappear completely during pregnancy, for example, only to return more strongly a few months after birth. 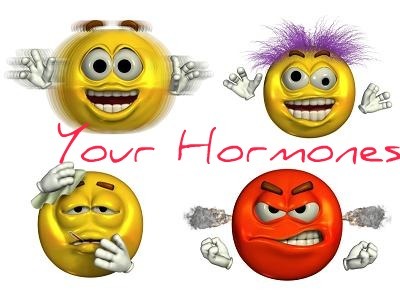 One lady I spoke to described horrendous symptoms that left her bed ridden for 2 years but lifted after the menopause. Is this what lady MSers have to look forward to? I find myself (at nearly 40) looking forward to a time when my body doesn’t have to be a slave to hormones any more! Do other women actually look forward to the menopause? What’s the answer then? Do any other MSers have this problem? If so, what do they do about it? Any suggestions would be greatly appreciated! ← To blog or not to blog……………?